In terms of structure, the Marvel Cinematic Universe is unarguably one of the most ambitious and groundbreaking undertakings in modern film. This cohesive narrative – created through multiple, inter-connected film franchises, using a selective range of comic book characters – has kickstarted a renewed passion for studio blockbuster universe-building. But, as lucrative as this particular enterprise may be, it’s not without its frustrations – at least, as far as fans and audiences are concerned. It may well be ambitious and groundbreaking in structure, but it’s deeply non-progressive in terms of inclusivity. In that respect, one of those biggest frustrations is Captain Marvel, and the quest for the first female director of the MCU. Let’s not sugarcoat it – Marvel has, to date, released 14 movies under the banner of its Marvel Cinematic Universe. The 15th is almost upon us, as Guardians Of The Galaxy Vol 2 arrives in U.S. theatres on May 5th, 2017. Every single one of those films has been led by a white male character (because Black Widow is, so far, a supporting character), and directed by a white male filmmaker. With the exception of Nicole Perlman’s contribution to the script of 2014’s Guardians Of The Galaxy, they’ve all been written by men, too. 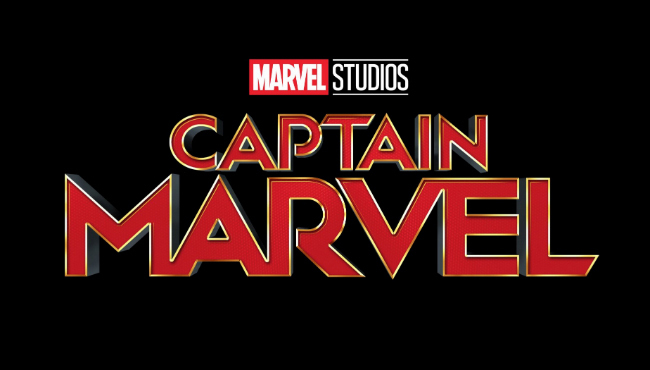 So, it was to great fanfare that Marvel announced it would be making a Captain Marvel movie, and that having it directed by a woman would be a priority for the studio. Of course, that’s great news. But, here’s where the frustration lies – it took eight years and two six-film ‘phases’ for the studio to make that announcement, and it’s taken even longer to get the project in motion. Academy Award winner Brie Larson has been cast in the titular role for over 12 months, and Marvel has yet to publicly identify a director. We know that the script comes from Academy Award nominee Meg LeFauve (Inside Out) and Marvel alum Nicole Perlman – which makes it the first MCU instalment to be written by women, in addition to being the first MCU instalment to be led by a female character. But, why does it seem to be taking so much longer than any of the previous MCU movies (with the exception of Ant-Man) to actually happen? In terms of optics, it looks to the general public as though it’s taking the studio much longer to select a female director for this one movie than it did for any of the male-made films that went before it. Now, that may or may not be the case – we really don’t know for sure what goes on in the board rooms of Marvel Studios – but the fact that the studio has chosen to delay its first female-led superhero movie until March 8th, 2019 absolutely frames it that way, in the audience perception. Perhaps Marvel announced the project further ahead of time than it normally would, to satisfy the growing call for a female superhero – and the consequence of that is a longer, more publicly scrutinized wait. But that could have been avoided by simply including more female superheroes in leading roles earlier in the MCU, and not waiting for sixteen films to include directors other than white men. After all, there’s absolutely no reason why that wouldn’t have been just as successful.